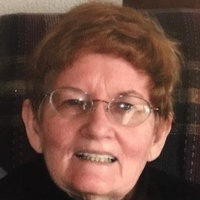 Gwendora “Gwen” Campbell, age 82, left this earthly life on Sat., July 7, 2018 at Salina Regional Health Center, Salina, KS. She was born on Oct. 10, 1935 in Bexar, TX to Albert L. & Sarah (Wright) Moody. Gwen married Harold Lee Campbell on July 5, 1952 in Mississippi while Lee was stationed there during his military service. She earned her GED and graduated from Crum’s Beauty School in Manhattan. When the family moved to Clay Center, KS, she owned and operated her own beauty shop out of her home. Later the family moved to Belleville, KS and she operated Gwen’s Beauty Shop. She was a member of the Episcopal Church of the Epiphany, Concordia; Order of the Eastern Star, Belleville; Daughters of the Nile, Salina Chapter and later the Wichita Chapter; Beauceant, Belleville & the Hospital Aux, Concordia. She is survived by her husband, Harold “Lee”, Concordia; daughter, Sarah “Kay” Brown (James), Republic; grandchildren, Cassandra L. Long, Lenexa, Michael G. Loring, Concordia, Jessica L.D. Lee, Lawrence, Shalynn G. Loring, Concordia, Jesse L. Brown, Toledo, OH and Ryan K. Brown, Wichita & great grandchildren, Taylor M. Long, Lenexa, Gannon L. Brown & Ensley M. Loring, both of Concordia. She was preceded in death by her daughter, LaVetta M. Loring; her parents & brothers, A.L. Moody & Lamont Moody. The family selected cremation and will have a prayer service at 7 pm, Sunday, July 15, 2018 at the Episcopal Church of the Epiphany, Concordia. Burial of the cremains will be at 10:30 am, Monday, July 16, 2018 at Pleasant Hill Cemetery, Concordia with fellowship to follow the burial service at the Episcopal Church fellowship hall. There will be no visitation. The family suggests memorials to the Daughters of the Nile in care of the funeral home. For online condolences, please visit www.chaputbuoy.com.